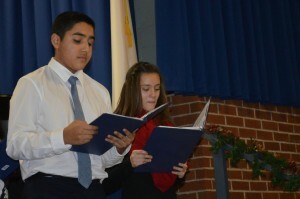 During junior high and high school, students have the opportunity to further hone their skills through the classes, Fundamentals of Speech and Advanced Communications. In Fundamentals of Speech, the students learn platform speaking, techniques, stage presentation, confidence, and speech writing. Students continue to develop and advance these skills in Advanced Communications. Students utilize these skills to present projects to their peers, recite memorized passages, and give other presentations. Junior high and senior high students also have the opportunity to compete in a variety of speech categories at our State and National Fine Arts competitions. Our students participate in both individual and group categories. We regularly place in these competitions, proceed to the National Fine Arts competition, and have taken first in the nation on several occasions. Junior and Senior high students have the opportunity to take Drama Class where they learn the fundamentals of stage craft and acting techniques. Students in 2nd-12th grades are allowed to audition and perform in our yearly dramatic production. 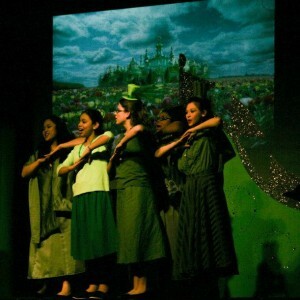 Here the students apply the basic theater techniques that they learn in rehearsals or the drama class. The drama program has grown over the last several years to include professional lighting, exciting musicals, and riveting drama. 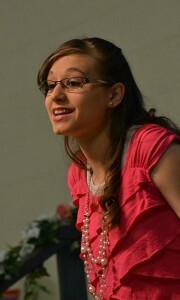 Students have been able to receive valuable training both on and off-stage. Students participate not only on the stage, but also behind the scenes as stage crew, sound assistants, make-up, and lights crew. The dramatic production is shown for 2 nights each year to an audience of nearly 250-300 people. This growth and success could not have occurred without the support of our dedicated parents as volunteers throughout the program.